Welcome to the Forum Archive! Years of conversation fill a ton of digital pages, and we've kept all of it accessible to browse or copy over. Whether you're looking for reveal articles for older champions, or the first time that Rammus rolled into an "OK" thread, or anything in between, you can find it here. 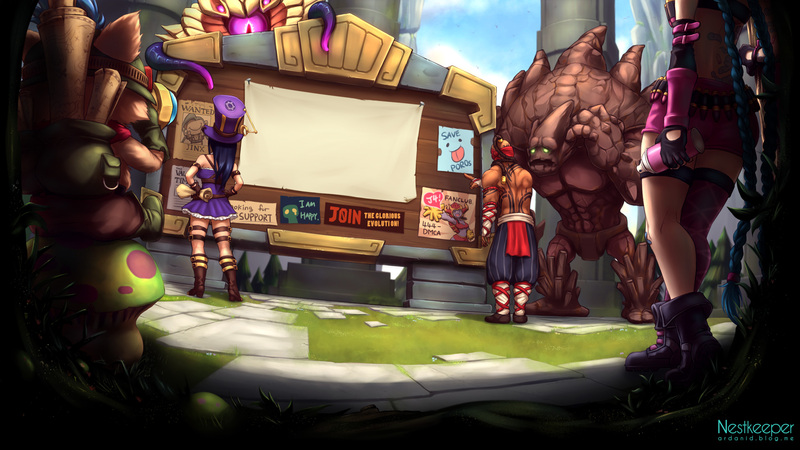 When you're finished, check out the boards to join in the latest League of Legends discussions. If you take the time to examine the many wonders of nature, youll find a fair number of animals that are remarkably well-adapted to their environment. It isnt every day, however, that you run across a creature that can adapt to every environment. Feast your eyes on this fine specimen here. Meet KhaZix, the Voidreaver  the most highly-evolved champion yet to grace the Fields of Justice. Maybe youre marveling at the iridescent wings or the intimidating spike racks? Well, youll find thats just one of many possible evolutionary paths your Voidreaver can take. Perhaps some adaptive camouflage and wicked, scythe-like claws might be more appropriate to your particular hunting ground. Whichever evolutions you choose to manifest, youll find KhaZix has just the tools you need to viciously slaughter unsuspecting prey. If youre the kind of assassin thats always ready to adapt, evolve, and overcome, youll want to keep an eye on the latest addition to the Void lineup. New void champ! Its about time! EDIT : Assasin time! Plus, the Void is awesome! Kha’Zix looks like a giant beetle, with Zergling and Hydralisk parts. His face sort of kind of looks like Gentleman Cho'Gath . . .
PD: Wait just a minute, I just noticed something. "Perhaps some adaptive camouflage and wicked, scythe-like claws"
Scythe-like claws? What if this guy is the monster described in Rengar's Lore, and not Cho'gath? Nice! You gotta love dem Void creatures! EDIT: It's the monster from Rengar's lore! 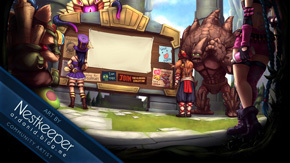 © 2014 Riot Games, Inc. All rights reserved. Riot Games, League of Legends and PvP.net are trademarks, services marks, or registered trademarks of Riot Games, Inc.